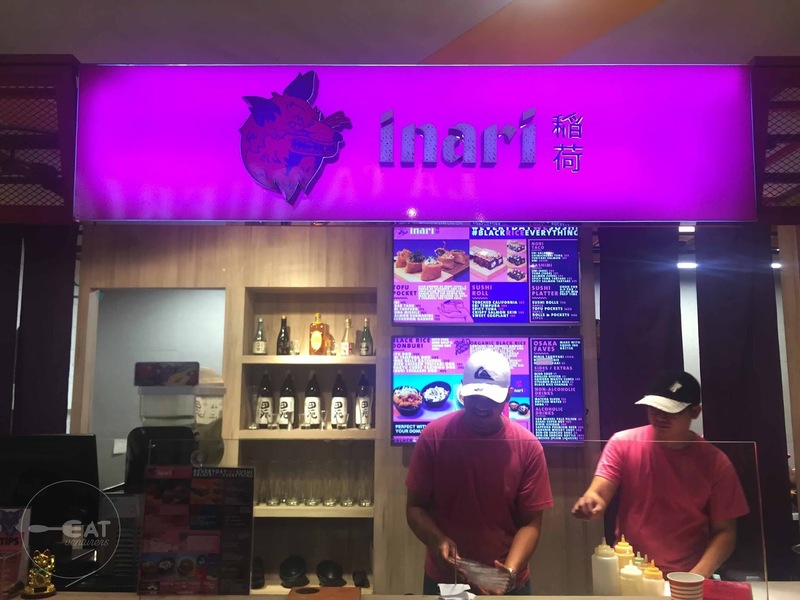 Last December, these three establishments also released new bites for their patrons to try. 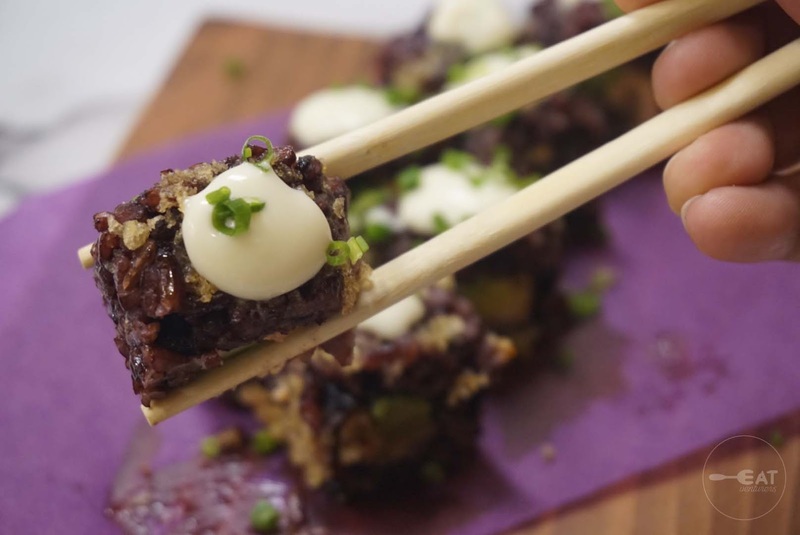 We've previously featured Inari's modern take on sushi. They are known for using organic black rice in their sushi rolls. 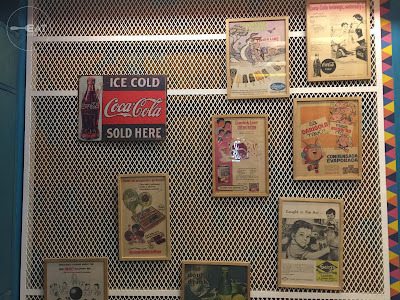 Also read: What's inside The Corner Market Food Hall? 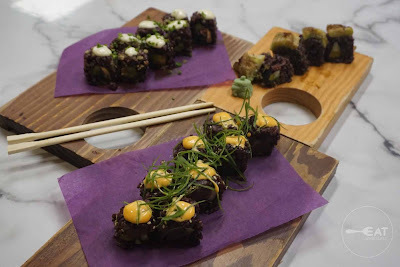 Just recently, they launched their assorted sushi platter and nori taco. The assorted sushi platter is priced at P775 for 40 pieces of sushi rolls, P1635 for 10 pieces of tofu pockets and P945 for 27 pieces rolls and pockets. It is good for for to six people and has a 20 to 40 minutes preparation time. You may choose the following flavors for their sushi rolls: torched California, ebi tempura. spicy tuna crispy salmon skin, and sweet eggplant. 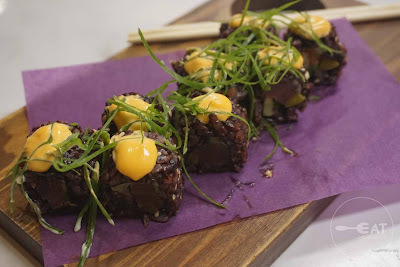 The Eatventurers only tried the latter three and our favorite are their crispy salmon skin and spicy tuna rolls. Both rolls were flavorful so we were satisfied. It is also our first time to try black rice-based sushi rolls and we can say it didn't disappoint.The black rice does not feel different at all as it also resembles the thickness of the Japanese rice. Meanwhile, we loved the texture of the crispy salmon skin rolls and we also liked how the Japanese mayo, sriracha and green onion garnish complemented the spicy tuna roll well. We would've wanted a larger portion of salmon and tuna in the stuffing though. You can get these sushi rolls in single flavor set of eight at P135 to P195. We were not able to try the nori taco but among the choices are the following: ebi salad (P185), chimichurri tuna (P165) and teriyaki salmon (P185). 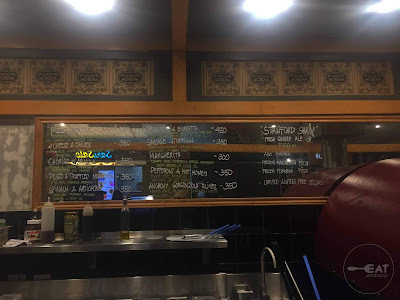 It is rare to see brick-oven pizza option in food courts so we were happy the Corner Market housing Pizza Morena. 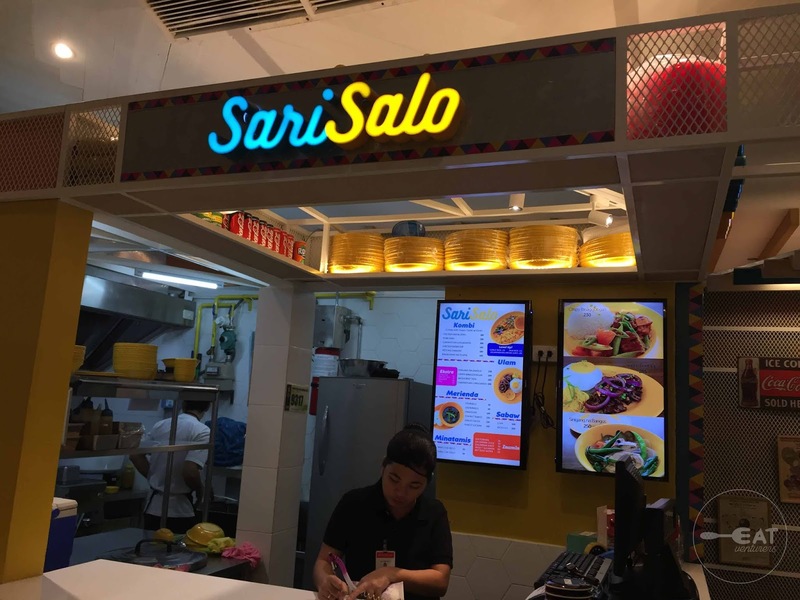 We recently learned that this pizza joint is also one of the concessionaires of Legazpi Weekend Market and Salcedo Market as well as other food fairs. 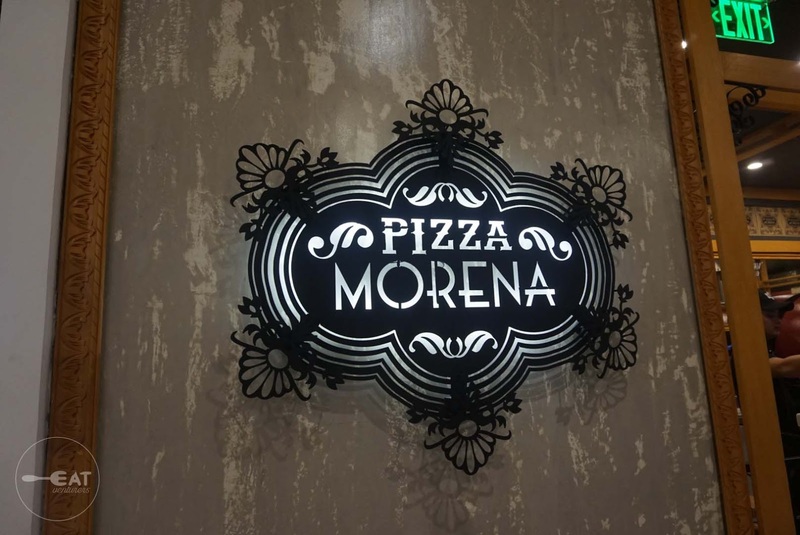 At Corner Market Food Hall, Pizza Morena offers brick-over pizza, salad and liquors. A box of approximately 12" of pizza costs P300 to 450. What we love about our pizza-eating experience here is that our orders were freshly-made. 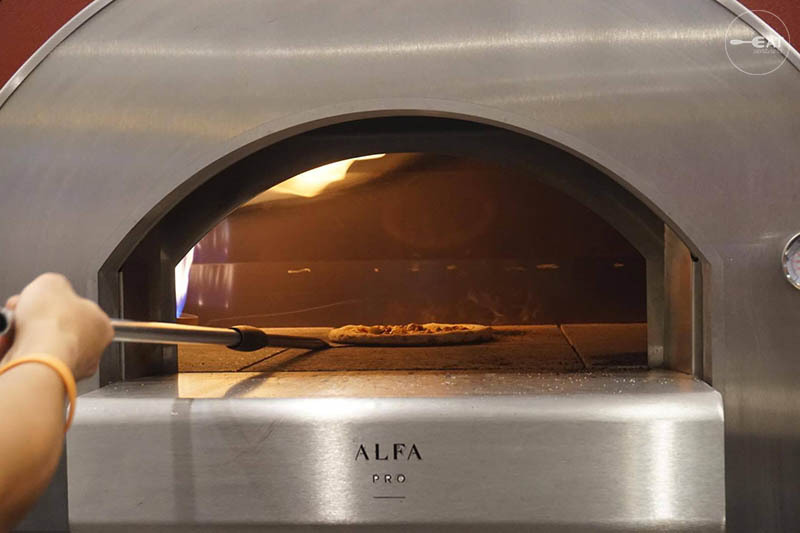 The dough are kneaded by hand and you can even view your orders being cooked in an open-fire oven. Out of the flavors, we recommend the two variants we tried: Sausage Stuffing and Spinach and Artichoke. 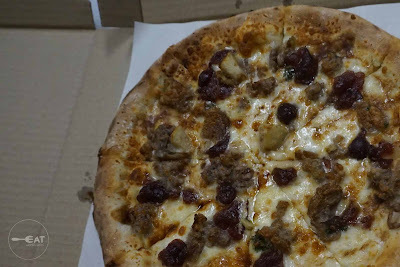 Sausage stuffings is Mozzarella cheese-based pizza with flavorful sausage stuffings and cranberries drizzled with gravy. It was something unique but we were excited to try it out. 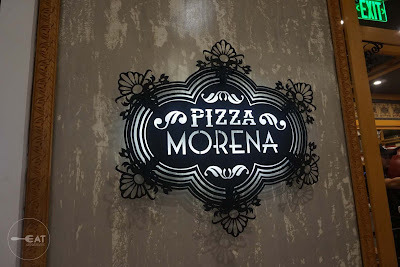 Pizza Morena was truly generous with its meaty toppings but its taste was not salty as expected as the cranberries' sweetness balanced the taste. Also, since the dough was thin, the rich toppings made it a little soggy but we are not complaining because it's a good problem. We did not use any sauce for it because the taste was already enough. 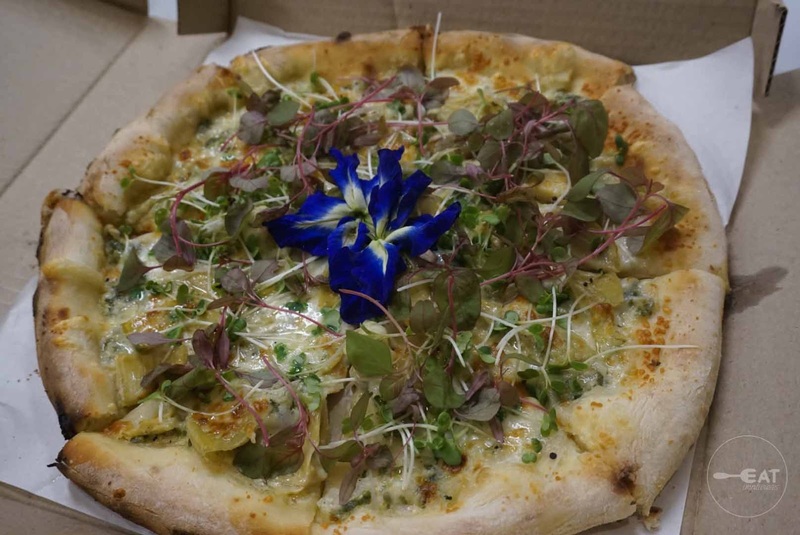 From something meaty, we tried out their healthy option pizza: spinach and artichoke flavor topped with edible flowers at the center and microgreens. 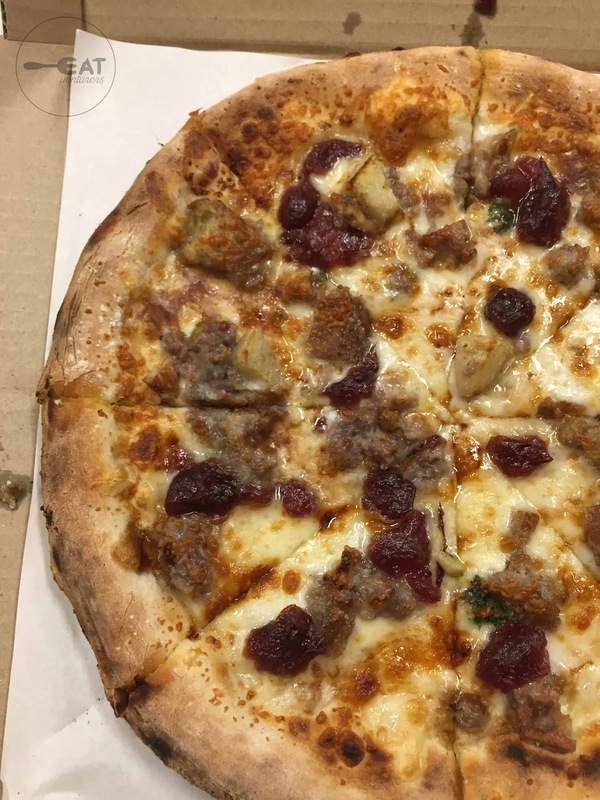 The pizza looks intimidating to eat but it is actually and balances the meal as it's not as heavy as the sausage stuffing. It is also a good choice for vegetarians. 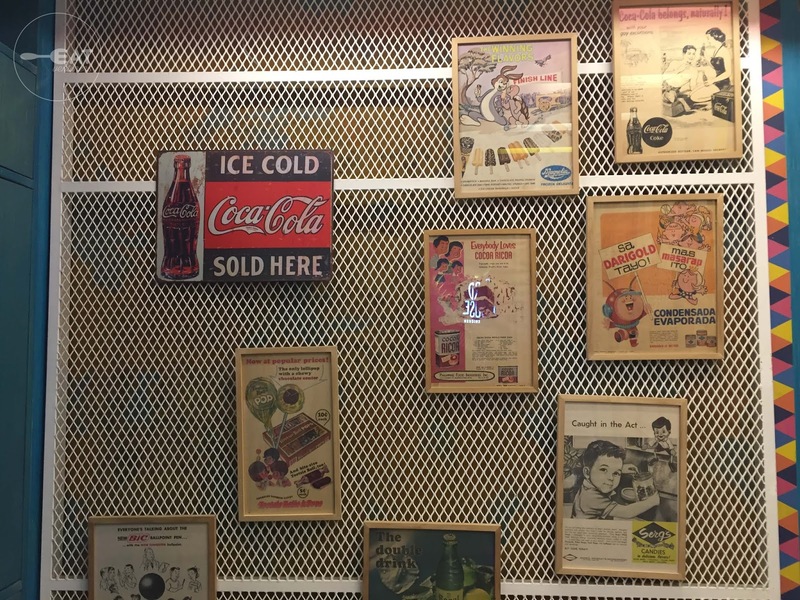 Upon research, we learned that these pizzas are offered in three kinds: the regular, gluten-free and frozen. We're looking into having take-outs next and try out their 4 Cheese and chives Pesto and Truffled Mushroom flavors too. 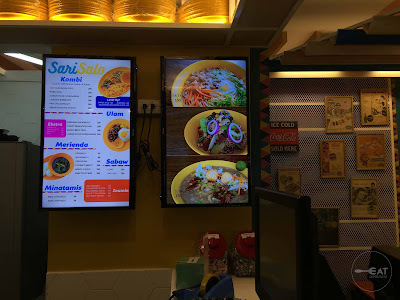 Sari-Salo was not open during our first visit to Corner Market last year so we were stoked to try this Filipino joint out. . 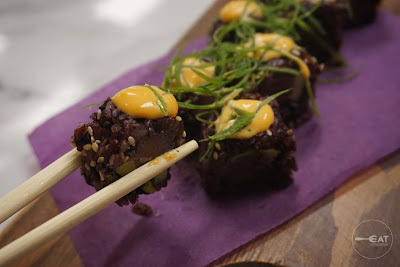 However, due to traffic, we got in late to the food tasting event so we didn't get to try it. 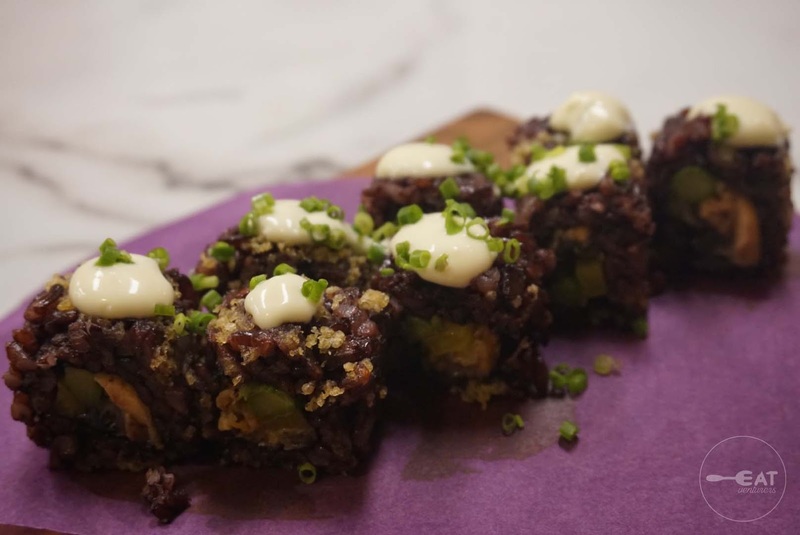 They offer Filipino comfort food with a contemporary take. 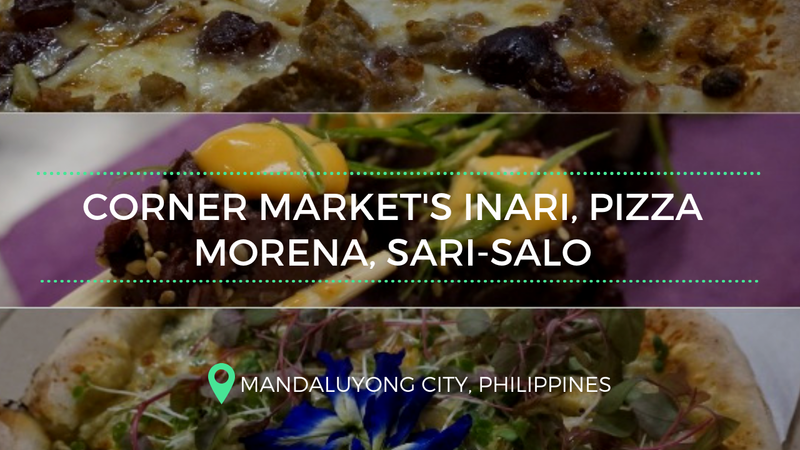 Our fellow bloggers said they've tasted the Crispy Binagoongan, and Angus Beef Sisig and they recommended them both. Blogger and writer Gerry San Miguel of Dude for Food said he liked the Crispy Binagoongan (P230), citing that it was juicy and flavorful. 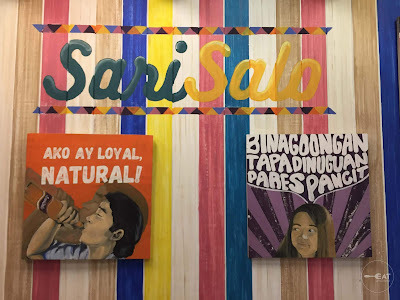 A visit to Sari-Salo also takes you back to the 90s as they have nostalgic interiors and displays. The stall was almost different from the rest because of its sari-sari store theme, colorful and cultural. 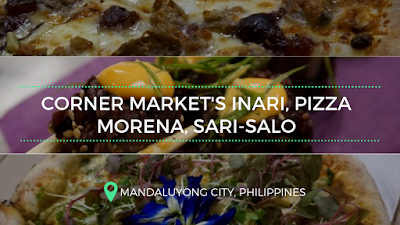 We're looking forward to trying this out again and of course revisit Corner Food Market Hall for our comfort food cravings.